Kelley Edwards | Littler Mendelson P.C. Kelley Edwards focuses her practice on a variety of labor and employment litigation matters. She represents employers in federal and state courts and before administrative agencies, such as the Texas Workforce Commission, the Equal Employment Opportunity Commission, and the United States Department of Labor. She handles litigation matters at the pre-trial, trial, and appellate levels. 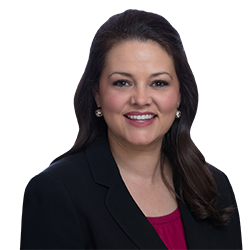 Kelley is board certified in labor and employment law by the Texas Board of Legal Specialization. With extensive trial and oral advocacy experience, Kelley has handled single- and multi-plaintiff actions in state and federal courts and before the EEOC. She has first- and second-chaired jury and bench trials to verdict in federal, state, and local courts and has successfully defended judgments for clients on appeal. Among her notable cases, she tried two high-profile race discrimination trials for a national fast food franchisee, both resulting in defense verdicts; successfully defended a telephone directory company in a multi-plaintiff federal bench trial alleging wrongful denial of overtime under the Fair Labor Standards Act; and obtained a defense verdict for a Texas healthcare provider in a Title VII retaliation case following a three-day jury trial in federal court. She has also prosecuted numerous Class C misdemeanor jury trials for the Houston City Attorney's Office as part of an attorney loan program with the City of Houston. She has handled numerous federal appeals, including successfully defending awards of summary judgment in ADA, ERISA, workers' compensation, and Title VII cases. Kelley serves as the office managing shareholder of Littler Mendelson's Houston office. Prior to joining Littler Mendelson, Kelley was an associate in the Labor and Employment practice of an international law firm. In law school, she was the managing editor of the Virginia Tax Review. Social Media and the Workplace: How Does an Employer Manage ‘Social’ Postings? What Has the Supreme Court Done Now? Employment Litigation: Where's the Action and How Can Your Organization Avoid It?